Wonder Woman herself, Gal Gadot, dressed up in her superhero outfit and surprised children in hospital. 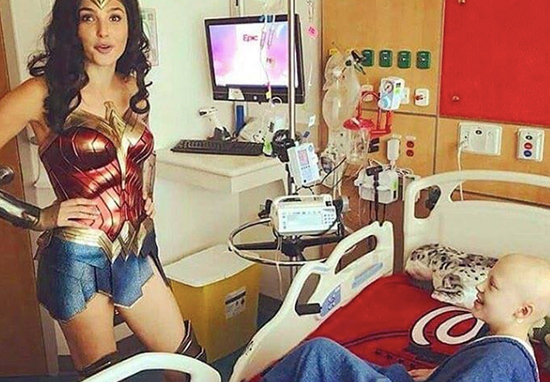 Despite encountering real-life superheroes every day in hospital, (nurses and doctors), children at Inova Children’s Hospital in Falls Church, Virginia, were treated to a much more traditionally dressed hero, when Gal Gadot donned her Wonder Woman outfit and paid them a visit. The wonderful Gal Gadot visited the Falls Church Inova Children’s Hospital in her Wonder Woman costume today! May we all be inspired by Wonder Woman’s message of love and fighting for those who cannot fight for themselves. Gadot was pictured holding a baby who was being treated at the hospital. The family of a 5-month-old fighting #PediatricCancer gets a little help from a Superhero! The visit didn’t only delight the children at the hospital, but also the staff. Dr. Lucas Collazo tweeted a picture of Wonder Woman surrounded by workers at the hospital, thanking Gal for her visit. We are so honored that #WonderWoman stopped by to visit the kids and caregivers at #InovaChildrensHospital! Thank you @GalGadot. #ForTheKids. Another member of staff unfortunately missed the occasion, but still tweeted their thanks to Gal – throwing in how, should she ever fly in and visit again, they should align schedules. Dear @GalGadot- Thank you SO MUCH for visiting my patients and colleagues at #InovaChildrensHospital! Gal Gadot appeared as Wonder Woman in the hugely successful 2017 movie, which earned the best domestic gross of any DC Extended Universe film. Her admirers at the hospital – and in the rest of the world – will be graced by her presence once again as she returns for Wonder Woman 1984, the upcoming sequel. Wonder Woman 1984 is, as you may have guessed, set in the 80s – a far cry from the last film, which was set mainly in the time of World War 1. Director Patty Jenkins has given us some insight into Gal’s character in the sequel. This film set in the 80’s, she has to deal with the temptation of our world, and face extraordinary odds. She is now at her full powers. We’re raising the bar. 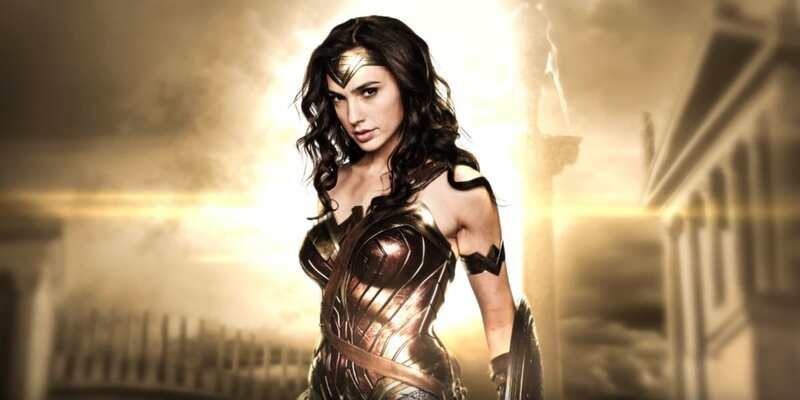 Jenkins also revealed the addition of a new member to the Wonder Woman team, Bridesmaids star Kristen Wigg, who’ll appear as Wonder Woman’s nemesis, Cheetah. So excited to confirm the most thrilling news. Yes! It’s true! So incredibly lucky to welcome the sensationally talented Kristen Wiig to our Wonder Woman family. Just as her character will be in Wonder Woman 1984, Gal Gadot appeared optimistic and positive during her hospital visits, producing smiles from the children she visited. Wonder Woman 1984 will be released in the US on November 1, 2019.